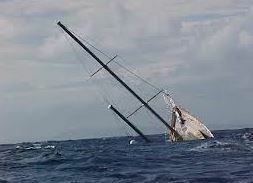 Is your Social Media Ship Sinking? Many businesses seem to think that all there is to social media is to establish a Facebook page, a Twitter account or many of the other platforms and start posting. They miss the entire planning stage to laying out exactly what their strategy will be, how it will be executed, how it merges with the existing marketing plan and what they expect to get out of it. By omitting the crucial social media strategy and tactics planning they are doomed to failure. For a more in-depth discussion on social media planning and strategy development read my earlier articles “The Problems with Social Media for Business” and “Social Media Strategy” . Without the proper groundwork in developing your social media plan many businesses fall prey to the next two mistakes. A quick review of many business social media sites will quickly provide evidence of the second big mistake: lack of commitment to social media. The web is filled with business social media sites that have not been updated in months and followers and fans being ignored. Social media sites may be free to set up but they are not free to maintain. They cost a business in time and manpower to update regularly, respond to comments and keep abreast of what is being said about your industry or business. Without a firm commitment to this requirement many businesses find themselves fall prey to the last mistake. This mistake is most often observed among those businesses that have already made the first two mistakes. Without a real plan and a commitment to social media many businesses simply use social media as another marketing outlet and simply plaster their advertisement all over their site thinking that this will draw in customers. This tactic does not require much of a commitment and can be easily handled by someone in the company in a few minutes a day. The result of this is that most of your followers and fans will simply turn them off. Social media is supposed to be social; give and take between the business and it fans and followers. Educate them, inspire them and entertain them and once in a while you can try to sell to them. If you try selling all the time without engaging with them you will fail. Is Your Business Guilty of the 3 Big Mistakes? Look at your own business social media. Do you find yourself falling into any of the above mistakes? Let me know your thoughts on these ideas and any other mistakes you see businesses committing in social media.